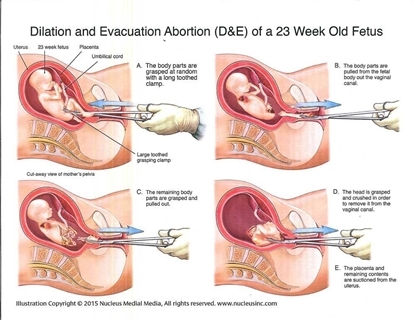 This 81/2 x 11 sheet has four frames depicting the D&E abortion procedure. 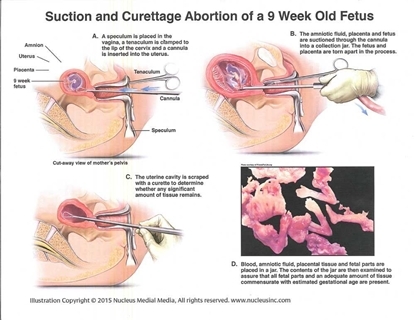 The image was prepared by medical and legal experts. Medical Illustration Copyright © 2013 Nucleus Medical Media (www.nucleusinc.com), All rights reserved. Individuals and groups have to contact Nucleus Medical Media to enter a contract for permission to post on a website or print or make copies beyond what is ordered from Priests for Life.